If you want earbuds that connect seamlessly to your device, you’re going to want the Bullets ‘buds which support aptX for high-quality streaming. The neckband is flexible and lightweight, while the magnetic mechanism of the housings is useful for managing the cables when not in use. The OnePlus 6T release rumors are in full swing, and while the smartphone grabs all the headlines, we’re more interested in its earbuds. While we wait out the official details of OnePlus’ new flagship, which we already know lacks a headphone jack, let’s look at the OnePlus Bullets Wireless. Who is the OnePlus Bullets Wireless for? The OnePlus Bullets design mirrors that of the BeatsX,. OnePlus users. As the name implies, the OnePlus Bullets are designed to work seamlessly with OnePlus devices. You can access Google Assistant and make playback and volume commands all without removing your Android phone. Athletes. 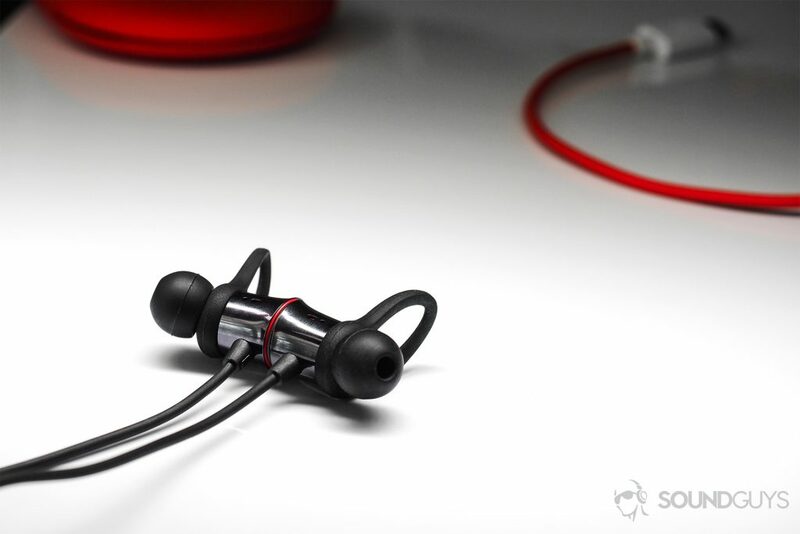 Although the earbuds haven’t received an official IP rating, they’re sweat-resistant according to OnePlus. Commuters. Why fuss with wires when you can listen wirelessly? These are stylish enough to complement any outfit, and if you need to break into a conversation, just connect the housings and music pauses automatically. When you purchase the OnePlus Bullets Wireless, you’re given three pairs of ear and wing tips, a USB-C charging cable, a storage pouch, and the wireless earbuds. Included with your purchase of the OnePlus Bullets Wireless is an array of ear and wing tips for a custom fit. Extending from each side of the neckband is an earbud sporting an aluminum alloy housing. Matte silicone ear and wing tips contrast the aluminum’s’ sheen, which looks nice but quickly attracts fingerprints. Stress relievers, located just below the housings, don’t look extraordinarily durable—but have thus far withstood being transported from Germany to the United States and regular transport in my backpack. The auto-play and pause feature works, but the durability of the earbud housings is suspect. The flat panel on each earbud is magnetic, and drawing the housings together automatically pauses your media, while separating them begins playback. This works flawlessly with my LG G6, but the dubious durability is upsetting. With our review unit, the right earbud panel dislodged itself. Not only is this unsightly, but it also means that unless I tape the panel back in, which I did, the auto features won’t work. The included OnePlus Bullets Wireless carrying case looks nice and features a magnetic closing mechanism, but I had to be deliberate about placing the ‘buds in the case for them to fit properly. Moving down to the neckband, which bears a striking resemblance to the BeatsX FlexForm cable, an easy-to-access power button rests on the right side. The neckband feels smooth and becomes unnoticeable when worn. 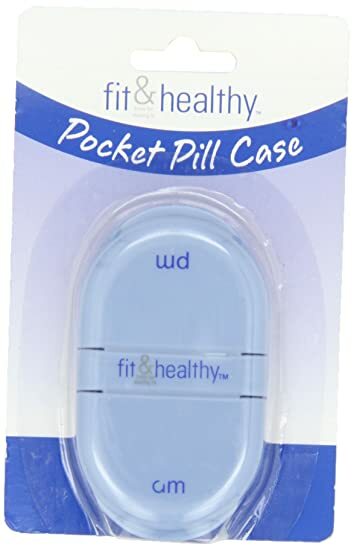 The magnetized carrying pouch has a soft-touch feel and looks like an upscaled version of one of those pill pocket cases. Although it looks unique and is easy to spot in an overcrowded back, it’s hard to perfectly fit the earbuds and neckband in it without having an earbud protrude. The magnetized housings tame the earbuds when not in use. It’s odd though because, despite this apparent water-resistance, the Bullets Wireless have not received an official IP rating. In fact, OnePlus states that when it comes to water-resistance, it “makes no guarantees,” and that liquid damage isn’t covered by the warranty. So, exercise with caution. The earbuds have a listed battery life of eight hours, but during our testing, we found that they lasted just 7.16 hours when subjected to a constant pink noise output of 75dB(SPL). Realistically, you won’t listen at such high volumes; in which case, you’ll likely come much closer to the eight-hour mark than we did during testing. The earbuds have a 255-hour standby time, and 10 minutes of charging via the included USB-C cable affords five hours of playback. One of the best features is quick charging. Connecting via USB-C for 10 minutes provides five hours of playback, a great feature for the forgetful and one that’s highlighted on our workout earbuds guide. And if you happen to lose the wireless neckbuds to a couch cushion for a few days, no worries: they have a 255-hour standby time on a full charge. Detaching the earbuds from each other allows the OnePlus Bullets Wireless to automatically connect to the last device. The aptX-supported OnePlus Bullets Wireless earbuds operate via Bluetooth 4.1, not the most recent version but not archaic by any means. Listeners can separate your source device from the earbuds up to 10 meters before experiencing connectivity dropouts, and I found this to be true except when outdoors. Walking down the street sometimes spurs Bluetooth sputtering that I otherwise don’t experience in my apartment. You can access Google Assistant directly through the integrated mic and remote if you can get it to register your voice. That’s right, the microphone really struggles to identify my voice when in an environment with any amount of ambient noise. Stored in each earbud is a 9.2mm dynamic driver shrouded in an “energy tube,” as OnePlus describes it, which mitigates harmonic distortion. While this may sound like a bunch of PR mumbo-jumbo, our testing revealed that the OnePlus Bullets Wireless produce a surprisingly neutral-leaning frequency response. If I wanted to increase the bass and improve isolation, reaching for third-party memory foam ear tips did the trick. Although OnePlus Bullets Wireless looks like the BeatsX, its frequency response is much more neutral. In Still by Daughter, the intro is a delicate, drawn-out segment filled by guitar picking and Elena Tonra’s vocals. This simple beginning makes it easy to hear Tonra’s voice, which remains equally as clear once the drums enter at 0:34. While the vocal clarity is a breath of fresh air, some may be underwhelmed by the lacking bass. Why Even Try is the fifth track in Hippo Campus’ third album. Audible even with the din of the accompanying guitars and Nathan Stocker’s vocals, the hi-hats are easy to pick out. Unlike the Rowkin Ascent Charge+, however, the Bullets Wireless treble reproduction isn’t overemphasized and can be enjoyed for extended periods of time. Should you buy the OnePlus Bullets? The main drawback of the OnePlus Bullets is that its availability is unpredictable. If you’re a OnePlus user who wants your earbuds to match your phone, yes, the Bullets Wireless is a great choice. Heck, even for general Android users, the OnePlus is still a solid deal… if you can find them. They often sell out quickly, and at the time of publishing are sold out now. However, if you’re thinking about making the purchase and find them available, more power to you. For just $69, listeners get a great-sounding pair of earbuds that support aptX and USB-C charging. Yes, the carrying case could be more spacious and the broken earbud panel is inexcusable given the Bullets Wireless’ limited use, but if you can overlook those two things, you’ll be happy with the earbuds. The Bullets Wireless give you freedom, power and convenience. Designed for durability and comfort, you can effortlessly switch between music, calls and Google Assistant. All bases covered. Thanks to a perfectly weighted aluminum alloy construction, whether you’re heading to work, working out or relaxing, your earphones will stay in place. A stretch-resistant cable connects the earphones, while the battery part rests comfortably on your neck.